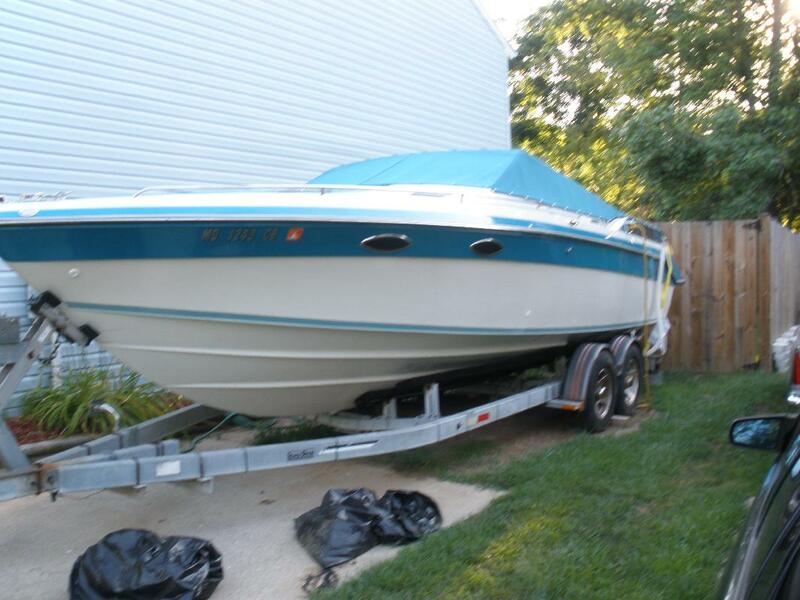 Beautiful 88 Wellcraft NovaIII for sale! 27' LOA, T/350 merc mag mpi's, Alpha gen2 counter rotating outdrives w/ tie-bar, and Many Many extra's! Trailer included!! Garmin gps w/ depthfinder, lines, fender's, ski's w/ tow-rope, safety kit, cushion covers, porti-potti hard plumbed for pump-out, fm/cd player, 6 spkr sytem w/ sub and 2 amps, 3 batt's w/ 2 selector switches, custom lexan covers, new Galaxy ant., towable inflatable and more!!!! Asking 18k. Cockpit cover and full cover too. PRICE REDUCTION! Willing to help deliver w/in 100 or so miles if needed.